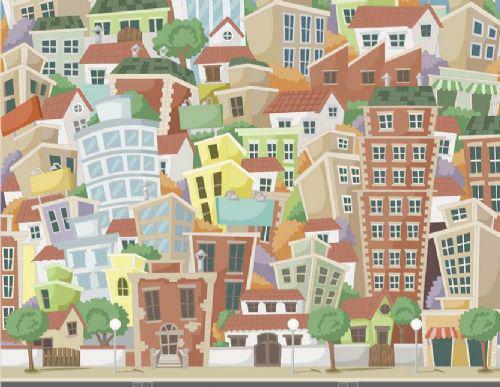 This project has a geography focus and teaches children about the geographical and human features of their local community. At the heart of this project children write a range of instructions and directions using maps and first hand experience. In addition they develop skills using the language of position and direction. In the Innovate Stage children apply their skills and understanding by creating their own large scale 3D relief map of the local area. • About a famous explorer or local figure of community importance. 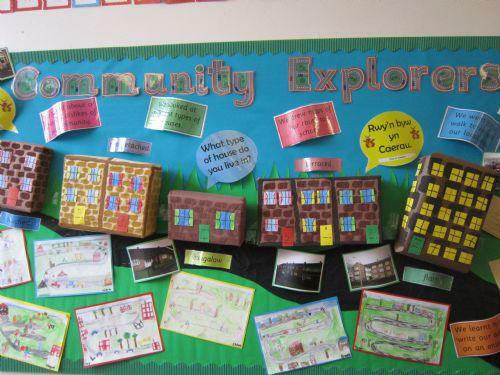 We are very proud of our Community Explorers classroom display! We have really enjoyed learning about our local area. We have been learning about 3D shapes this week and can name spheres, cylinders, cubes, pyramids, cones and cuboids! We also learnt that 3D shapes have faces and we put smiley face stickers on the shape faces to count them. We also used Polydron to make the shapes and some of us used cocktail sticks , straws and blu tack which was very fiddly! We were very proud when we managed to complete our shapes! This week we have enjoyed reading Gerry's Story and we were able to recognise lots of places in Cardiff including the River Taff and the Millennium Stadium. We drew maps of Bute Park as that was the place where Gerry got lost in the story. We made chocolate chip cookies and we have been learning how to write instructions for making them. In maths we have been using ordinal numbers and played lots of games to find out who came 1st, 2nd and 3rd. We got very excited and there are some very competetive children in Year 2! We have continued our Post Office theme by reading the story 'The Jolly Postman'. He had to deliver letters, cards and invitations to characters from Nursery Rhyme and Fairy Tale Land. We used the beebot this week and learnt how to direct it to places. We have been using positional language and have learnt which way is left and right! We wrote directions for the beebot to get to different places in Fairy Tale Land. We pretended to be Goldilocks and wrote a letter to Baby Bear to say sorry for all of the things she did when she went into his house. Mrs James was very pleased with our writing this week! We are very excited about our new topic which is called Community Explorers. We went on a walk of the local area to see what we could find out. We looked at different types of houses and we have learned their names . We had clip boards and had to identify different features of the local area. We were lucky to have a visit from someone who has an important job in the community. 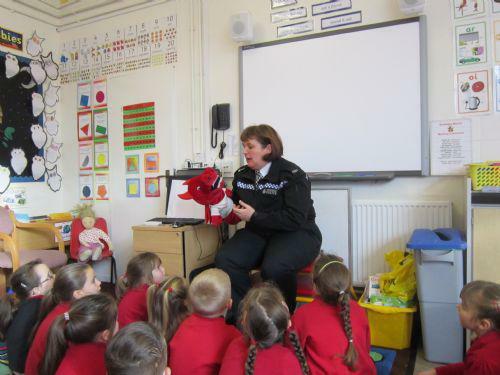 PC Julia came to talk to us about Right and Wrong. She was very pleased with the way we worked together to discuss pictures and we were able to explain our reasoning for right and wrong. We have set up a Post Office in our role play area and have enjoyed playing the different roles of post office workers and customers. We have been practising counting and adding money using all of the coins including the one pound coin. We could practise doing this at home too using some loose change from Mum or Dad!